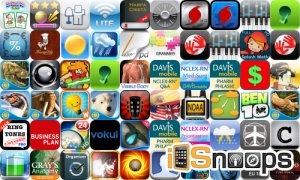 Looking for great apps at a fraction of their regular cost? We’ve found 58 iPhone, iPad and iPod touch apps that are currently on sale. This app deal alert includes Super Crossfire, Amazon: Hidden Expedition, Don’t Run With a Plasma Sword, Ballistic SE, Cloth, Battery Optimus, iDigg, Safe, Smart Pad w/Cloud Sync, iReminder, and many others.